This very interesting article is from Cnngo by Virginia Lau entitled “12 things about tea your local dim sum restaurateur won’t tell you” (dated 7 Oct 2010). The writer interviewed Master Leung Ka-Dong who had been working at Ying Kee Tea House for almost 40 Years. "What type of tea do you usually order when you eat dim sum?" asks Ying Kee Tea House Master Leung Ka-Dong (梁家棟). "I usually order white hair peony because my family always orders it," I reply. "Did you know that almost all restaurants mix their white teas with black to to add flavor and color?" he says. No, I did not know that. I did not know that it's only in the recent 50 to 60 years that white, green and pu-erh have become Hong Kong's most popular teas either. With a richer economy, Hong Kong people stirred away from simple black teas from India and Sri Lanka and began to enjoy tea for various health reasons or collect pu-erh tea like wine. Genuine screw shaped green tea is the highest grade of green tea and the most expensive. At Ying Kee Tea House, it sells at HK$5,067 per kilogram (HK$380 per 75 gram bag). Produced only in Jiangsu Province’s Dong Ting Mountain, it’s also the rarest green tea in China, producing only about 1,000 kilograms a year. If you don’t have detergent at home, boil some pu-erh tea and use it to wash your dishes. It’s like a digestible detergent. Spicy foods are best paired with teh kuan yin because it has a bittersweet effect. If you ever visit a Chiu Chow restaurant, they always serve teh kuan yin tea with their spicy dishes. Plus, Chiu Chow city borders Shantou city and Fujian province, which is known for harvesting teh kuan yin leaves. Teh kuan yin tastes more clear and fragrant. Oolong is stronger and more solvent. And daffodil is the purest of them all. You’ve probably heard many rules about tea, from water temperature to color. But at the end of the day, drinking tea is a very personal experience. Some people like their tea boiling hot while others like theirs lukewarm. Some may like theirs stronger than others. So it’s all about time. We need time to brew that perfect cup of tea. 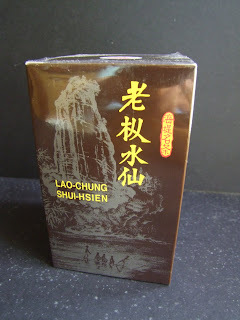 I was at Amoy Tea shop (see 20 Aug 2010 blog) last month when a couple of elderly gentlemen walked in and bought a few tins of "Sea Dyke" Lao Chung Shui Hsien. They communicated in a Hokkien dialect with Mr Tan, the proprietor, before leaving the shop happily with their tea. Mr Tan later told me a little history of this tea. Amoy Tea in the 1950's was the sole distributor of "Sea Dyke" tea. 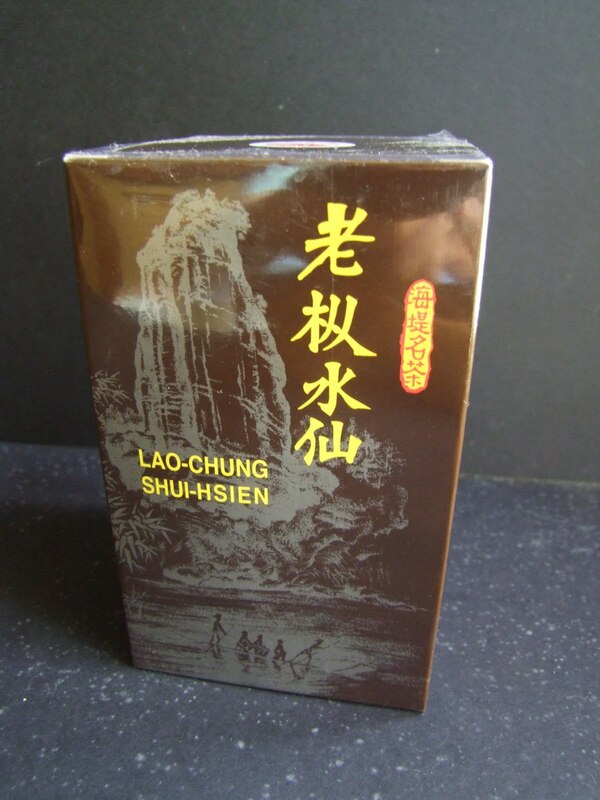 As the export quantities of this tea was controlled by the Chinese government, there was a good and strong demand by the tea drinkers here in Singapore. This is especially from the migrant Fujian community in Singapore where many had taken up work and residence here in this country. I suppose, that this tea represented, to the migrant Fujian tea drinker, a kind of link to their roots in China. A sense of nostalgia perhaps but it brings back memories of their times in China. This tea was sold for $16 during that time. This was a luxurious amount to pay for the tea. A bowl of noodles with a drink costs about $0.50 during that time ( it costs $4 now). Mr Tan had observed that there are many old "Sea Dyke" tea drinkers especially from the Fujian dialect who are still faithful patrons of this tea. Mr Tan also mentioned that his clients of this tea do tell him that even though there are occasions that the tea is not up to the mark (due to a poor harvest), his clients will be faithfully buying and drinking the tea. This tea now retails for S$11 (about US$9). 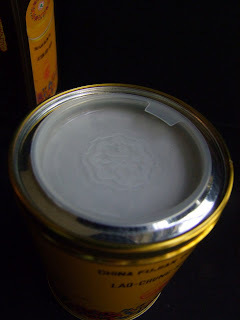 This tea is produced by Xiamen Tea Imp & Exp Ltd. Their website, also in English describes this tea (http://www.china-xmtea.com/eBusiness/EN/product_detail.asp?catalogid=2&productid=148) as "It is one of our traditional high- grade tea products, fully displaying the four features of "YAN" flavor; vivid, sweet. clear and fragrant. 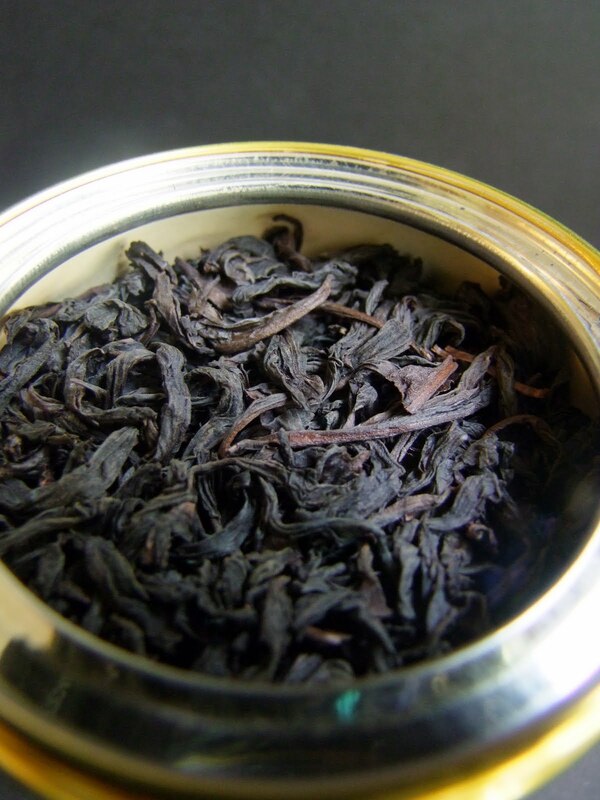 It is black bloom in color, with thick, lasting fragrance, heavy, mellow, smooth taste as well as distinct "YAN" flavor. Even thick tea soup won't taste bitter or astringent. It can retain its unique flavor even after several times of brewing." This 125g tea is well packed in a tin. The tea has a nice strong fragrance and the color of the brew resembles a ripe pu tea. I found the flavor robust but not bitter. The tea has a nice toasty and woody aroma with a slight sweet aftertaste. It is not bitter and the tea make a really enjoyable drink. My family members like this tea and gave good opinions on this beverage. A brew can make 5 good infusions. How much did you spend on tea? "Worried gold has topped out? Don’t trust the stock market? Can’t raise the money for real estate? In a new special report(transcript in Chinese), China’s state broadcaster CCTV delves into the stunning rise of dahongpao, a once obscure tea from the southern coastal province of Fujian that has suddenly become one of the country’s hottest commodities. Literally. In other words, this particular tea party may not be going on much longer." Gunpowder tea is a green tea. It is mainly produced in Zhejiang province. Green tea there is harvested and goes through steaming, drying and rolled into tiny nuggets or pellets. I suppose it got its name as it might have resembled gunpowder pellets that were used some time ago. It is interesting that the rolling of these tea leaves resemble the rolled up tea leaves of Taiwan high mountain tea as well as TieGuanYin oolong tea. I remember, when I was in Alishan Taiwan, the tea was also placed in a large cloth bag and the bag was compressed and rolled around in a machine, so that the leaves are rolled into a nugget/pellet shape. I suppose gunpowder tea is also rolled in this way but I was told that some gunpowder tea from Zhejiang uses the very old traditional method of hand-rolling each individual tea leaf by hand. I personally believe that among the green teas that are produced in China, gunpowder tea is one of the driest form of green tea, and if kept properly, is able to store well for a few years. I have also read that good gunpowder tea is characterized by the high shine on the tea pellets as well as the tight roll of the tea leaf. If you do a search on the net, there are also gunpowder tea produced and sold in Taiwan and Sri Lanka. I also read that in Morocco, gunpowder tea is served with mint and sweetened. How's the taste? I took about 10 pellets and brew them in a regular mug. The tea color is yellowish - like a regular green tea brew. You will also observe that the gunpowder tea unfurl to whole tea leaves when you brew a cup. I usually let my family taste new teas and the feedback I got from one of my girls is that there is a slight smoky aroma and taste. 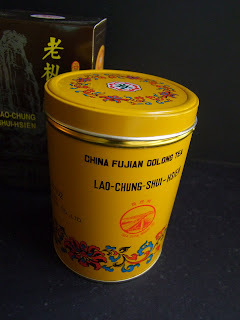 I myself found it slightly sweetish but without the floral notes found in Longqing green teas. Quite a delicious tea actually. I have yet to verify whether the gunpowder tea underwent a roasting stage but Yunnan Sourcing in his Zhejiang gunpowder tea page stated that the tea was roasted during the processing stages. Gunpowder tea is an inexpensive tea. It is very suitable to bring a small pack when you are on the road. Just pack it in a tiny bag and there are no worries that it would break or damage easily like other green teas.